Kezar, Andrianna; Masey, Daniel; eds. The institution of tenure—once a cornerstone of American colleges and universities—is rapidly eroding. Today, the majority of faculty positions are part-time or limited-term appointments, a radical change that has resulted more from circumstance than from thoughtful planning. As colleges and universities evolve to meet the changing demands of society, how might their leaders design viable alternative faculty models for the future? 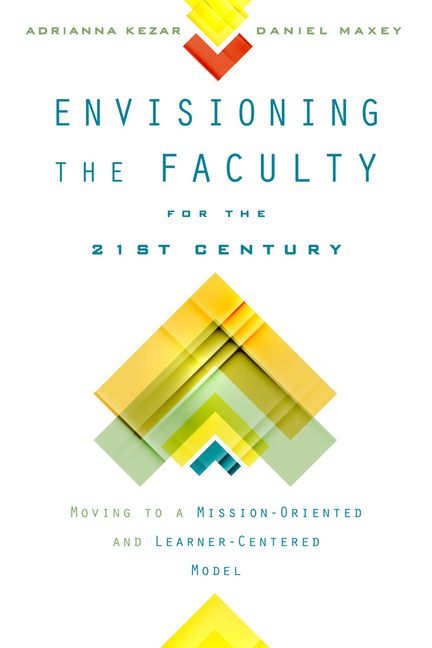 Envisioning the Faculty for the Twenty-First Century weighs the concerns of university administrators, professors, adjuncts, and students in order to critically assess emerging faculty models and offer informed policy recommendations. Cognizant of the financial pressures that have led many universities to favor short-term faculty contracts, higher education experts Adrianna Kezar and Daniel Maxey assemble a top-notch roster of contributors to investigate whether there are ways to modify the existing system or promote new faculty models. They suggest how colleges and universities might rethink their procedures for faculty development, hiring, scheduling, and evaluation in order to maintain a campus environment that still fosters faculty service and student-centered learning.